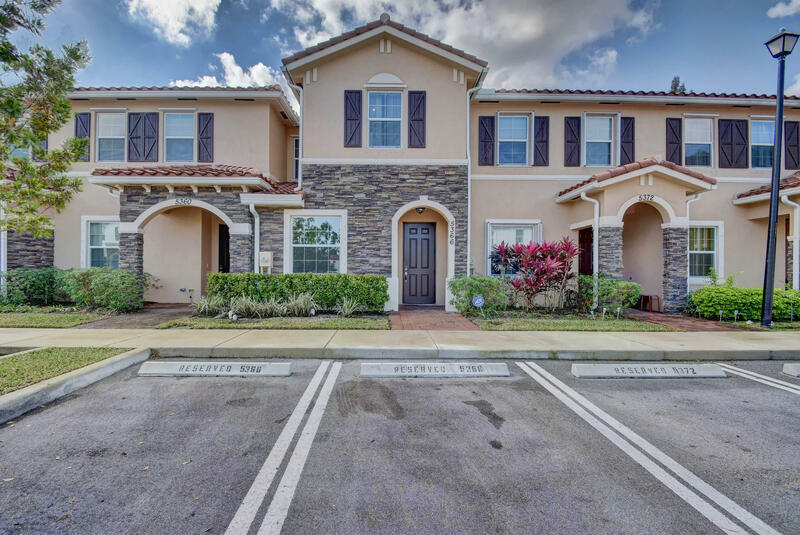 All CHARLESTON COMMONS 2 homes currently listed for sale in West Palm Beach as of 04/21/2019 are shown below. You can change the search criteria at any time by pressing the 'Change Search' button below. 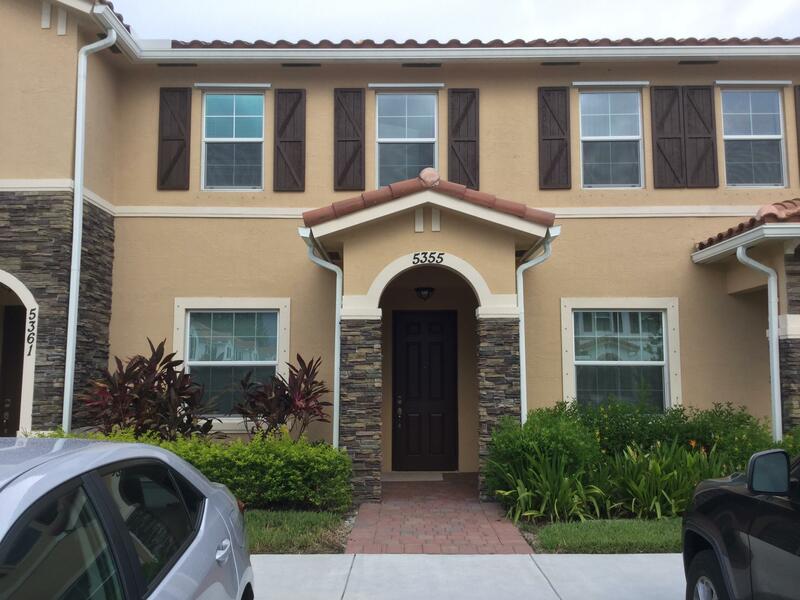 "3 Bedroom 2.5 Bath townhome located in very quiet section of Charleston Commons. Charleston Commons is a gated Lennar community built in 2016 located on Haverhill road. This unit has tile floors throughout the first floor, kitchen with large granite counter top, stainless steel appliances and custom stained wood cabinets. Floor plan includes separate formal living room, open kitchen to the family room, powder room downstairs and 3 bedrooms upstairs accompanied by 2 full bathrooms. Charleston Commons has a pool, play ground, ample green space and is conveniently located just a few blocks south of the new ballpark of the palm beaches. This is a very clean home waiting for its new owner." "Fantastic investment opportunity. Can rent right away. Move in ready. 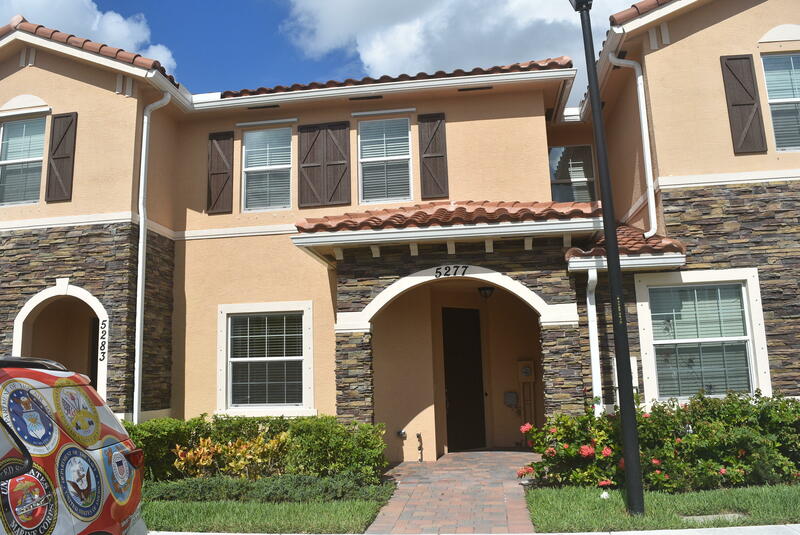 This wonderful like new Sapphire model 3 Bed room 2.5 Bath townhouse with all the extras. Incredible stainless appliances, granite counters, freshly painted, new carpeting, hurricane protection, and much more.. Formal living and dining when you enter the door and plenty of room off the kitchen for a family room or dining option. Your backyard with lake view will give you hours of relaxation. You can also rent right away. Gated community offers pool, playground, walking trails and more. Close to everything! Fantastic location." "Beautiful townhome, This one won't last!!!! Well maintained, got to see it. Lots of upgrades: tile on first floor, granite Countertop, large kitchen cabinets, smart thermostat and more..... Easy to show"